It's easy to prepare a juicy and tasteful small bird. 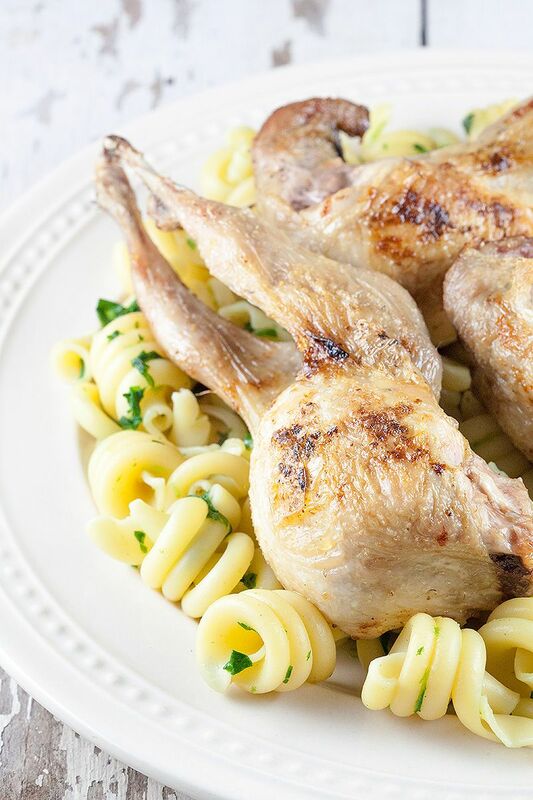 Oven-roasted quail is ready in 15 minutes. 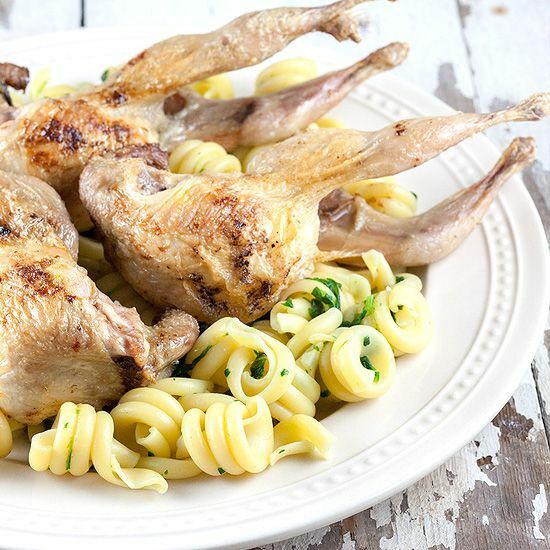 Have you ever tried quail? No? Then now it's time you do! PRE-HEAT your oven to the highest temperature possible. For our oven that’s 230 degrees celsius (450 degrees fahrenheit). 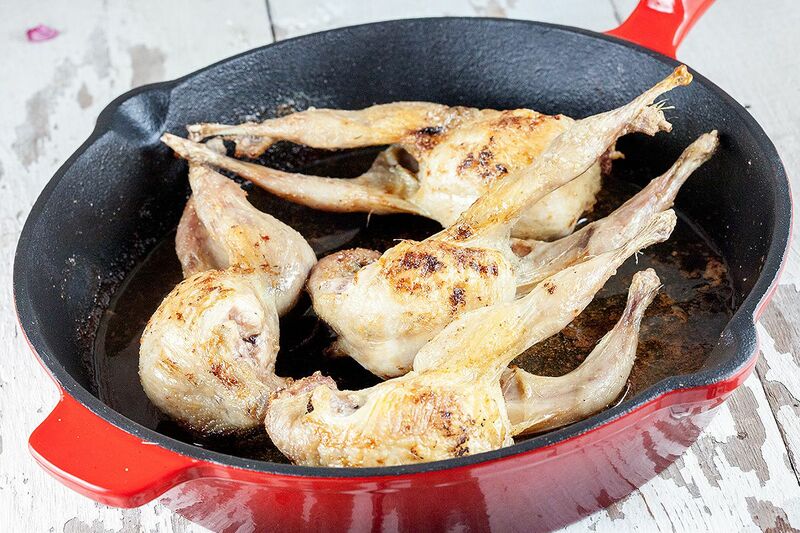 At this temperature you will notice the quails are done very quick and all the taste and moist is still inside the quail because of the fast searing. This way the small birds won’t become dry. 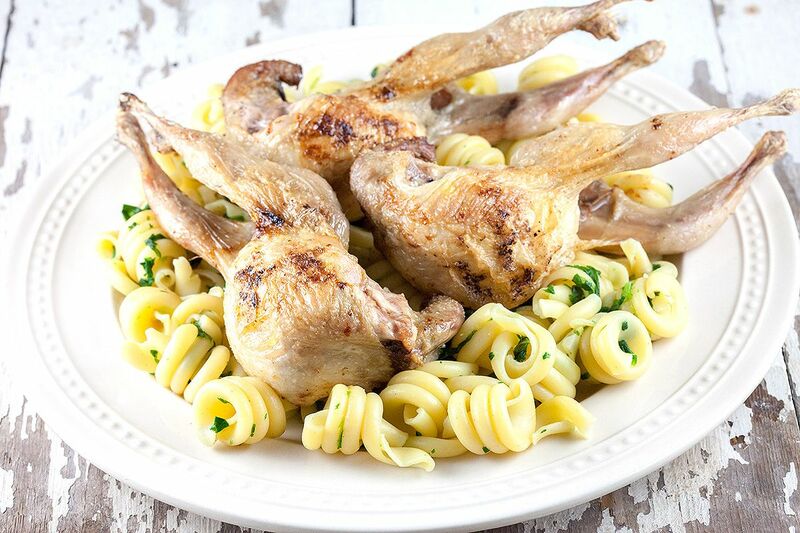 If you serve the quails with pasta, COOK the pasta according to instructions on the package and make sure the spinach isn’t frozen anymore. Meanwhile you can start roasting the quails. The roasting part is very easy. Use a little bit of lemon juice, pepper and salt to bring the birds to taste. PLACE a cube of butter on top of every bird. Now roast them in the oven for 10 minutes, depending on the temperature of your oven. If you had the wings still attached to the quail, you can choose to chop them off. It doesn’t have much meat on it anyway, but you can use it for flavoring a sauce if you prefer. Easily ADD them in the pan after you took it out of the oven. SET on high heat, add some more butter and lemon juice and let it cook a few minutes. There you have it, a very easy quail sauce. 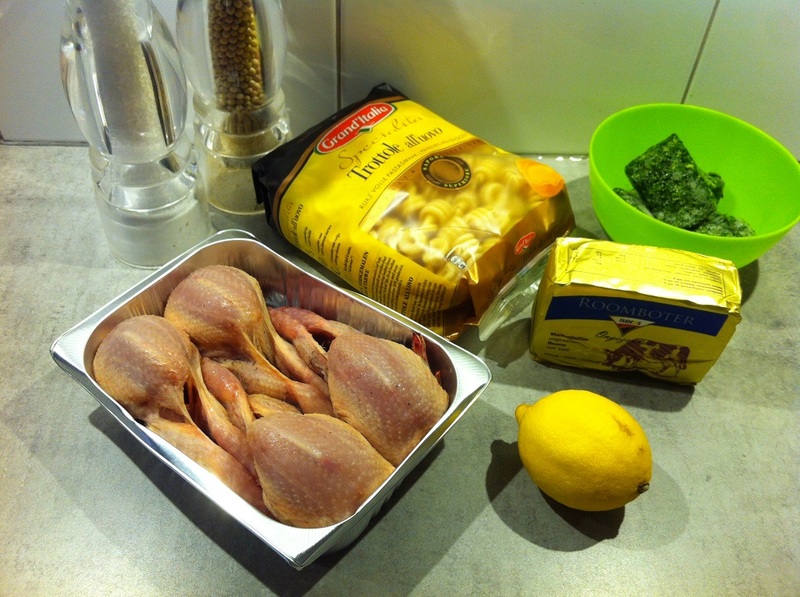 DRAIN the pasta and stir in the spinach, squeeze of lemon juice, pepper and salt. If the spinach has no moist at all, you can add a bit of olive oil to the pasta. That’s it, enjoy this lovely small bird with some of the lovely sauce! Very well done. I did the birds just like how you said. Had some spinach and asparagus and ran a bed of risotto. Being a practical chef can be unrewarding and under-represented. But then, too, I am a practical chef. I see recipes like this and I save them, and cook them. Hi John, so great to hear you liked the recipe! Keep innovating new and make us feel happy my telling us the recipes.Thanks again.